At Stowe Family Dentistry, our three dental partners have a wealth of experience and are active members of the Stowe, Vermont community. Originally from Minnesota, Dr. Chris Pazandak has been a practicing dentist since the late 1970s. Prior to moving to Stowe, Chris spent three years in the USAF Dental Corps and nine years in a solo dental practice in New Hampshire. His love of dentistry comes from the closeness to the people he serves and the dedicated team with whom he works. Chris received an undergraduate degree from Johns Hopkins University and a D.D.S. degree from the University of Minnesota. 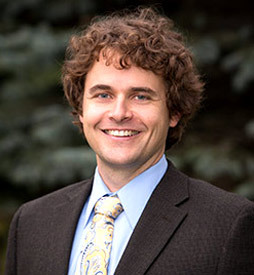 He is currently an executive board member of the Vermont State Dental Society, a member of the American Dental Association, and a member of the Academy of General Dentistry. His wife, Mary, is a Vermont native with whom he enjoys outdoor activities, including skiing, tennis, gardening and more. Chris has three grown daughters, Catie, Suzanne, and Allison, and four grandchildren. Originally from New Jersey, graduated with a BA in English from Fairfield University in 2000. He went on to work as a reporter for a number of weekly newspapers along the Jersey Shore before starting as an Associate Producer for Fox News in Manhattan. After a few years in the fast-paced world of cable news, he decided to pursue a career in dentistry. John is a graduate of UMDNJ in Newark, NJ and, prior to Stowe Family Dentistry, has worked in busy group practices in New Hampshire and New Jersey. He brings with him a love of practical dentistry and patient education. He is a member of VT, NJ, and NH Dental Societies, the American Dental Association, and actively furthers his knowledge through continuing education. John enjoys the many interpersonal connections that make up an average day in the dental office. It has been said that John has more hobbies than you can shake a stick at. From playing guitar and drums, to mountain biking, wood turning, fishing, running, surfing and canning his own vegetables, he stays pretty busy. He and his wife look forward to sharing their love of the outdoors with their growing family and are excited about the many opportunities Vermont has to offer. Jitka has been practicing since graduating from the University of Maryland School of Dentistry in 2004. For the first ten years of her career she worked in private practices in Washington D.C. and Baltimore, focusing on oral sedation, cosmetic and restorative dentistry. 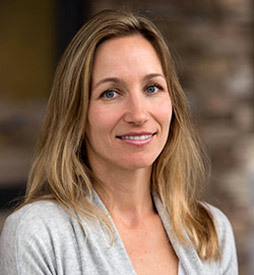 In 2014 Jitka escaped the big city, and moved to Vermont, where she is truly enjoying serving the diverse clientele that makes up the extended family of Stowe Family Dentistry. Jitka has always been known for her gentle chairside manners, soft touch and attention to detail. As every patient is unique and has different needs, Jitka always takes the time to listen and ask questions in order to understand what each patient wants to achieve. She is currently a member of the American Dental Association and the Vermont State Dental Association. On her days off, you’ll find Jitka out and about—spending time with friends and family paddle boarding, hiking up challenging trails, and seeking out fresh powder in backcountry glades. Stowe Family Dentistry is proud to partner with a highly qualified, board-certified orthodontist. Our office is fully dedicated to Orthodontics every second Wednesday in addition to one Saturday morning each month. Referrals from all dental practices are welcomed. Dr. Fred Ziegler – Dr. Ziegler received his B.A. in Natural Sciences and Fine Arts from Muhlenberg College in Allentown, PA in 1979, and graduated from the University of Connecticut’s dental school in 1983. He received his Certificate in Orthodontics from the University of Connecticut in 1986. He is board certified by the American Association of Orthodontics, and a member of the Vermont State Dental Society and the Vermont Association of Orthodontics. 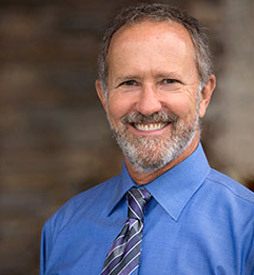 With 25 years of experience, Dr. Ziegler continues to enjoy orthodontics as a blending of fine art and science, and still gets excited by the difference he can make in the lives of his patients. He is originally from New Canaan, CT and now lives in Shelburne. He and his wife Marie have five children, Sam, Molly, Hunter, Holly, and Harrison. He enjoys bicycling, fly-fishing, and winter sports.